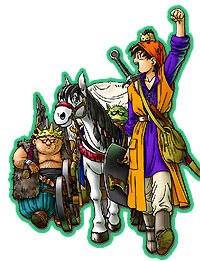 Dragon Quest (DQ) series is known as Japanese-National grade game. (I'm not kidding, you can ask Japanese) and the 1st console RPG in Japan. And DQ1 is the first console RPG of Japan. Although its english version as Dragon Warrior (DW) series is highly underrated in U.S.A. and Europe, the whole series (except DQ6) each obviously is masterpieces of their age. 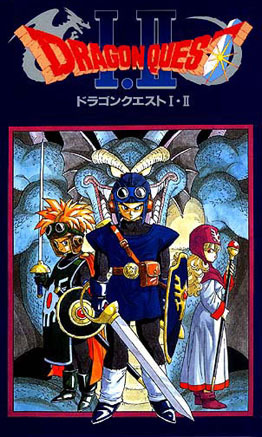 DQ1-3, the Roto Legend Trilogy, was published on NES first, and then was reprised on SNES and then on GBC. They definitely are classic, so they will remake for 2 times.DQ4 was also published on NES first and then reprised on PS1, DQ5 was on Super NES first and reprised on PS2 this year. 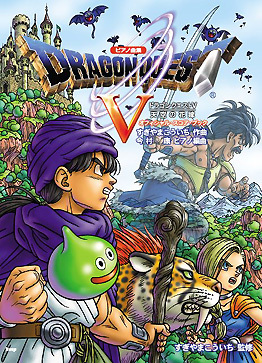 DQ6 was for SNES and DQ7 for PS1, and there are few side games for DQ character, such as Slime's Adventure, Torneko's adventure 1-3, DQ&FF Itadaki Street, and a very successful series DQ monster. What DQ has distinguished itself with other console RPG is: the Happy-Trip-and Explore-the-World-Feeling. Playing DQ series will really make you feel as an explorer on a vast fantasy world. Moreover DQ series is focus on interesting gameplay, each series there are some system or mini game very interesting or even addictive, and it doesn't influence the gameplay balance, it make player will enjoy the gameplay experience.